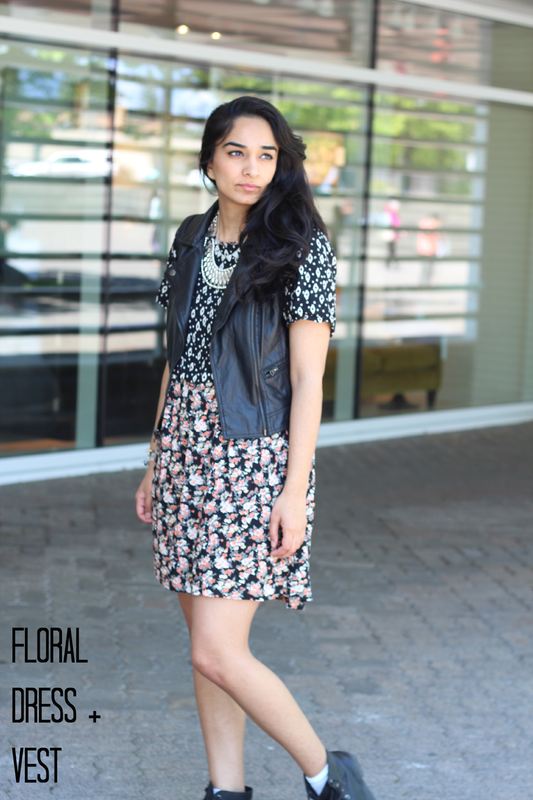 A leather vest is all you need to give a feminine floral dress a edgy vibe! 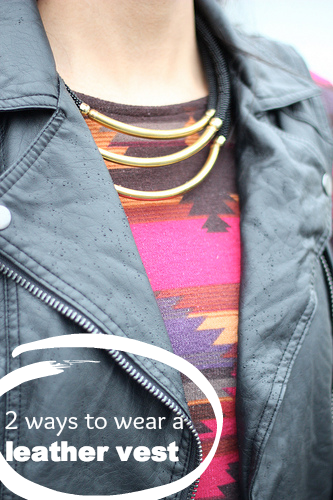 Who knew having a leather vest in the closet would be such a fun piece. It's really versatile. I've been able to throw it on as a last minute addition, whether I'm going out for the night or a lunch date. It's a piece that definitely has an impact on the outfit. 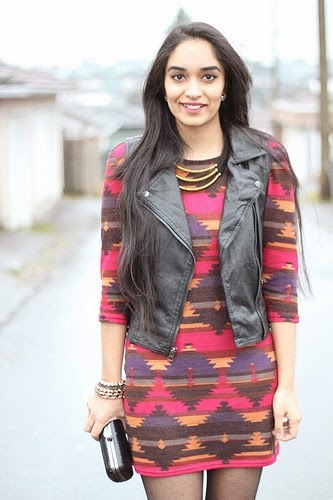 Again throwing it on my tribal pattern body con dress gave that outfit that little bit of edginess. Alright basically what I'm trying to say here is that leather vest = edgy and fun! There you have it! 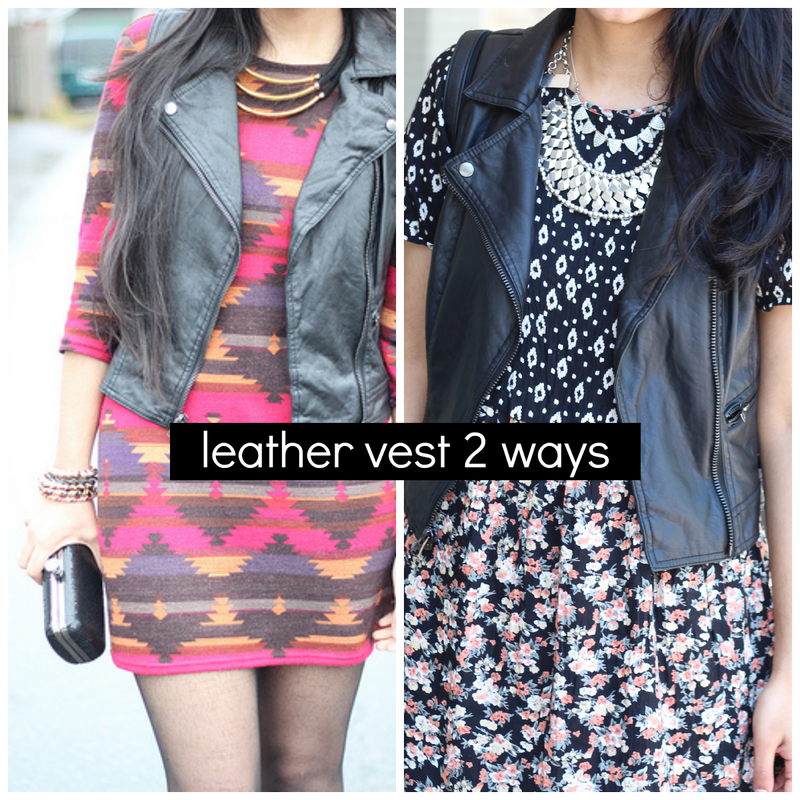 Two ways to wear a leather vest and add some fun to your outfit! 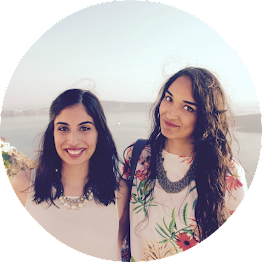 WE ARE ON INSTAGRAM! 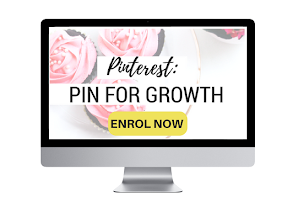 We would love it if you follow! 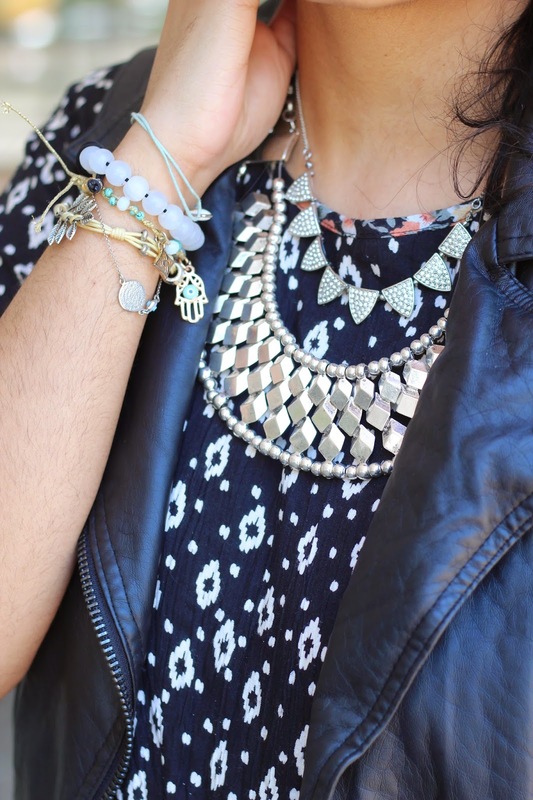 I certainly think that a leather vest is one of those staples in your closet that will never get old. Love the first outfit with the body-con dress... so edgy and stylish! I love the both ways, they're so stylish! I need to invest in a leather vest, both these looks are gorgeous. I have just bought a pair of combat boots for my girlfriend and I think I am going to also get her a leather vest like yours.